I love iced tea. I'm pretty picky about it as well. I don't go for the sweet tea but when I need a healthy alternative to soda, I turn to unsweetened iced tea. It is low in calories and can give a great little pick me up when I need an energy boost. The only problem with iced tea is that it can be time consuming to make at home. I almost exclusively buy it when I am out around town. I hate paying $2.50 per cup for it at restaurants and fast food places, but when I am craving it, I have to have it! 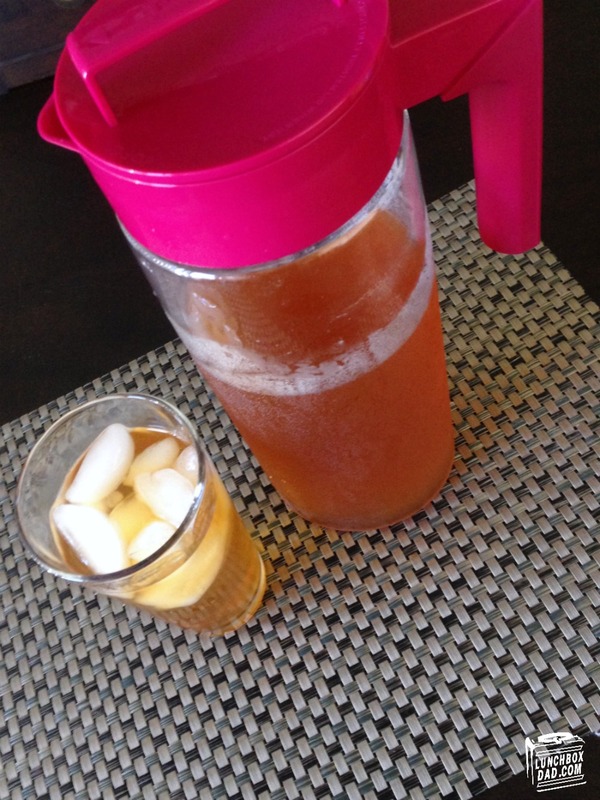 When Takeya offered to send me their Iced Tea Maker to review, I jumped at the chance. As a parent you need a healthy alternative to sugary drinks. However, between swim class, homework, and picking up kids from preschool you can't spend a ton of time making drinks. I was hoping that this iced tea maker could solve this problem for me at home. The directions are pretty simple. You just heat water and pour it into the jug. Then you put your tea in the funnel shaped infuser, put that into the jug, and let it steep for a few minutes. After that, you take out the infuser and fill the rest of the jug with ice. Shake it all together for a minute or so and it is chilled. The whole process only took me about 5-7 minutes once the water was heated. I have to say, it was a quick and simple process. The whole system worked exactly as it claimed it would. But what about the taste of the tea? Takeya sent me two flavors of their whole loose leaf tea to try. You can also infuse your tea with fresh fruit using the infuser. I prefer my tea without adding anything, but this looks like a tasty option if you like it that way, or for something a little different. The first flavor I tried was the tropical black. I enjoy black teas because of their strong flavor. This tasted great, but what surprised me was the hint of fruitiness. It was more of a scent than a taste but it really put a pleasant and refreshing twist on your traditional black tea. I served it to a few other people and they all liked it as well. This was a winner if you want to stick with Takeya's brand. I didn't enjoy the coconut lime rooibos as much. It was a lighter tea and the mix of flavors didn't work for me. Maybe it was because I wasn't used to that type of tea, but I liked the tropical black much more. Although you can use whatever tea brand you like, the nice thing about the Takeya brand iced tea is that it is pre measured to easily work with their system. The only real drawback to this system was the size. I was given the larger 2 quart size to review. I could not get it to stand upright in my refrigerator, it was just too tall. I had to lay it on its side. Thankfully it is made to do that without leaking. However, you will want to be careful to seal the lid tight every time you put it back, or you will have tea all over your refrigerator and floor. If this is a concern I suggest you go with the smaller 1 quart size. The large container will make eight glasses while the small one will make four. It is also dishwasher safe, which is another feature that can save busy parents time. The whole system retails for between $21.99 and $39.99 depending on which options you choose. Overall, I am extremely happy with this system and it has worked well for my family. 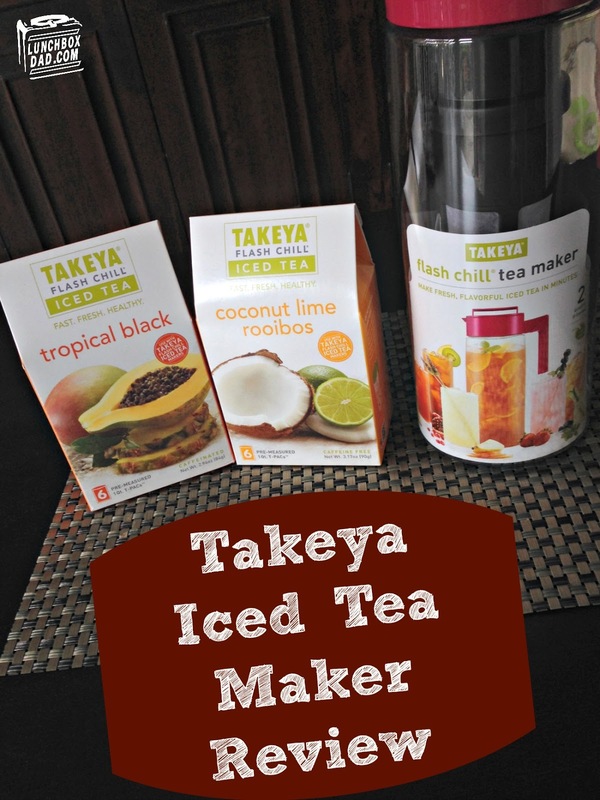 If you are a fan of iced tea, but don't want to take much time to make it, you should definitely check out the Takeya Iced Tea Maker. You can learn more and buy it online at www.takeyausa.com or check them out on Facebook HERE. 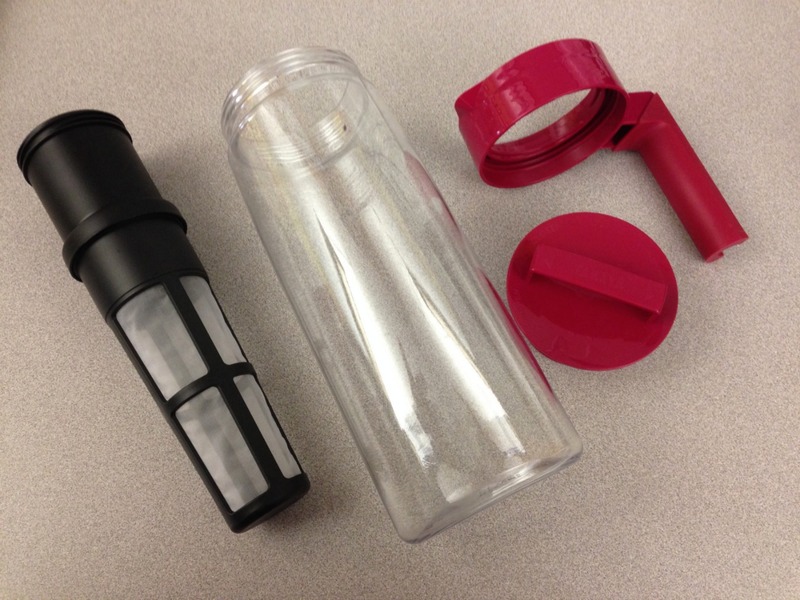 Disclosure: Takeya gave me their product to review. I have received no other compensation for this post and the opinions I’m expressing here are solely my own.